When used wisely, consumer credit can help you achieve your wants and needs. However, it's easy to succumb to the lure of a credit line and find yourself swimming in debt. Before you apply for any type of credit, it's important to ask yourself how you will use the credit and if the advantages of owning and accessing particular credit lines outweigh the potential disadvantages. Owning and responsibly using a credit card or credit line -- paying credit loans on time and with at least the agreed-upon payment -- can help you develop a favorable credit history. In general, consumer credit scores are calculated by credit bureaus that evaluate an individual’s ability and past commitment to paying debts. Financial institutions or other lenders request a credit report that details a consumer's credit history when a consumer needs credit for things such as making general purchases, buying a home, starting a business or purchasing a car. The more responsible you are with credit, the more creditworthy you become. In times of emergencies or unexpected expenses, access to credit can provide financial relief. For example, car repairs, medical bills or home repairs or remodeling are potentially large expenditures that may exceed your monthly budget. Having a credit line or credit card you can draw from is helpful because you can access the goods and services you need immediately without having to pay for them up front. You can also use credit as a convenience. 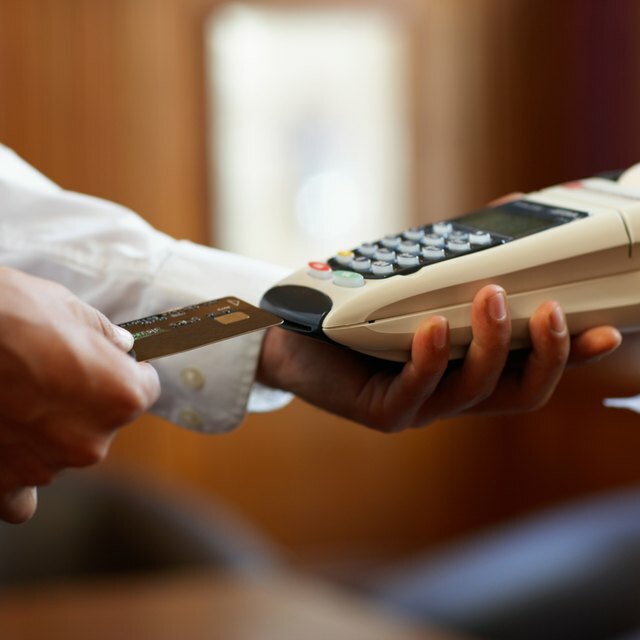 For example, credit cards prove helpful for expenses such as airline, hotel or car rental reservations. They also allow you to pay for several purchases in a short length of time -- such as when running errands -- without having to worry about carrying cash. A risk of using credit is spending more money than you can pay off. With a swipe of a plastic card, it’s easy to make impulse purchases. Because there’s no physical act of giving money, your brain can be tricked into believing that you're not spending as much as you really are. In one shopping trip, you can potentially wipe out a credit line consisting of thousands of dollars. If you do so, you'll have to deal with the consequences -- a monthly credit bill complete with interest and fees that leaves you with less money for your use. Can You Have More Than 1 Line of Credit? Credit lines often include interest charges -- a fee charged in exchange for allowing the consumer to carry a credit balance. Interest rates vary; the higher the rate, the more you will owe for the credit you receive. The slippery slope to credit debt starts with accessing a large amount of credit and paying only the minimum due each month, instead of paying off a large chunk or the entire bill. When this happens, interest is piled on the outstanding balance, which in turn makes it more difficult to pay the rest of the debt the next month. In addition, creditors can assess additional fees and penalties if you don't make your monthly payments on time.